Divorce Appraisals in Calvert County by M.C. Appraisals, Inc.
We know that divorce is never easy. There are countless choices that have to be finalized, including the fate of the shared residence. There are generally two choices when it comes to common real estate - it can be sold and the proceeds divided, or one party can "buy out" the other. In either case, one or both parties would find it in their best interest to commission an appraisal of the common real estate. A divorce appraisal needs a well-established, authoritative value conclusion that can be supported to a judge. M.C. Appraisals, Inc. guarantees the very best in service with professional courtesy and well-supported conclusions. 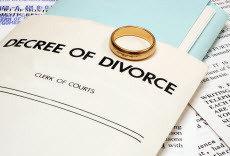 We understand how to handle the sensitive needs of a divorce situation. M.C. Appraisals, Inc. is at your service whenever you need an appraisal for the purposes of a divorce or other allocation of assets. Attorneys as well as accountants in Maryland rely on our analysis when ascertaining what real property is worth for estates, divorces, or other disputes where it is in question. We have a great deal of expertise dealing with all the parties involved and can readily handle your needs. We provide appraisal reports that fulfill the requirements of the courts and various agencies. As a lawyer working with a divorce, your case's material facts customarily require an appraisal to ascertain market value for the residential real estate involved. A great deal of the time the divorce date can be different from the date you requested the appraisal. We're versed in the methods and what is vital to develop a retrospective appraisal with an effective date and Market Value conclusion corresponding to the date of divorce. We handle lots of divorce appraisals (unfortunately) and we understand that they need to be handled with the utmost care. The Uniform Standards of Professional Appraisal Practice (USPAP) contains an ethics provision which binds us with confidentiality, guaranteeing you the utmost discretion.